Forests are the centre of our lives. They supply the air we breathe, they clean our water, they provide habitat for animals, and they provide opportunities to get outside and enjoy nature. They also provide the wood we need to make many products we use to make our lives better. It's hard to believe, but your house comes from the forest. The toothpaste you use, your TV screen and even your car doors can come from the forest. Read on to learn how we manage our forests for everyone to enjoy. Before Canada even became a country, we started using the forests in Ontario, and they are still here for everyone to enjoy. Forestry supports 260 communities and over 180,000 jobs across Ontario and many of the companies are family owned and operated. The people who live and work in the forest are our neighbours, our families and our friends. Stewardship is responsibly caring for our forests so that future generations can enjoy the same values that we do. In Ontario it involves planning that includes everyone - from foresters, to biologists, to the public and First Nations. Managing our forests in a sustainable way and using wood products are some of the greatest things you can do to help fight climate change. Sustainable forestry helps wildlife thrive. It helps to create and maintain the habitat for forest dwelling species, now and into the future. Learn about how we ensure wildlife thrives and the variety of wildlife species in Ontario. Access and share useful resources about how our forests make a big difference in our every day lives. 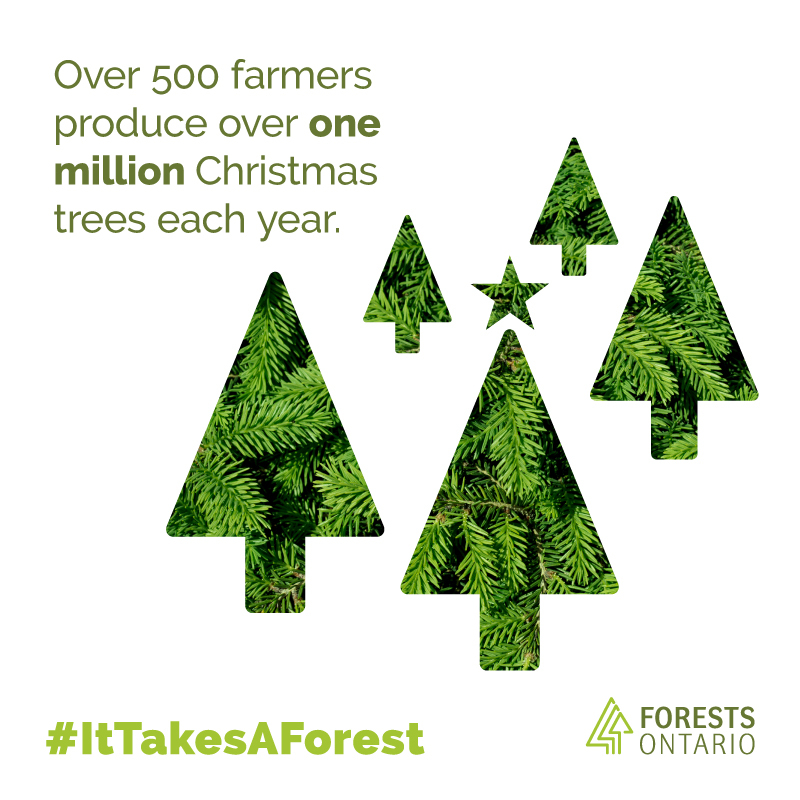 500 farmers produce over one million Christmas trees each year. 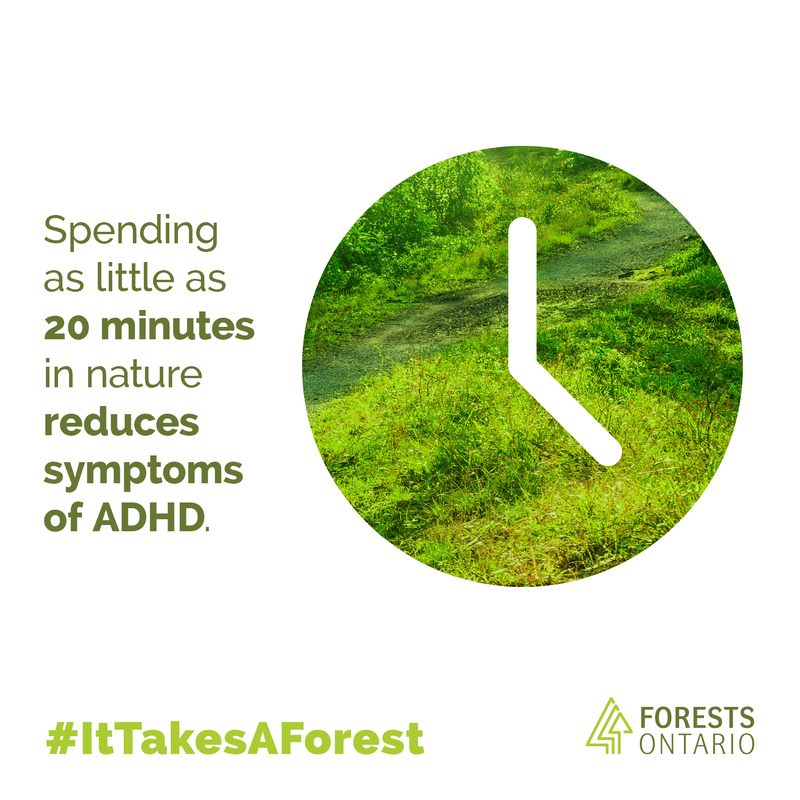 Spending time in nature reduces symptoms of ADHD. 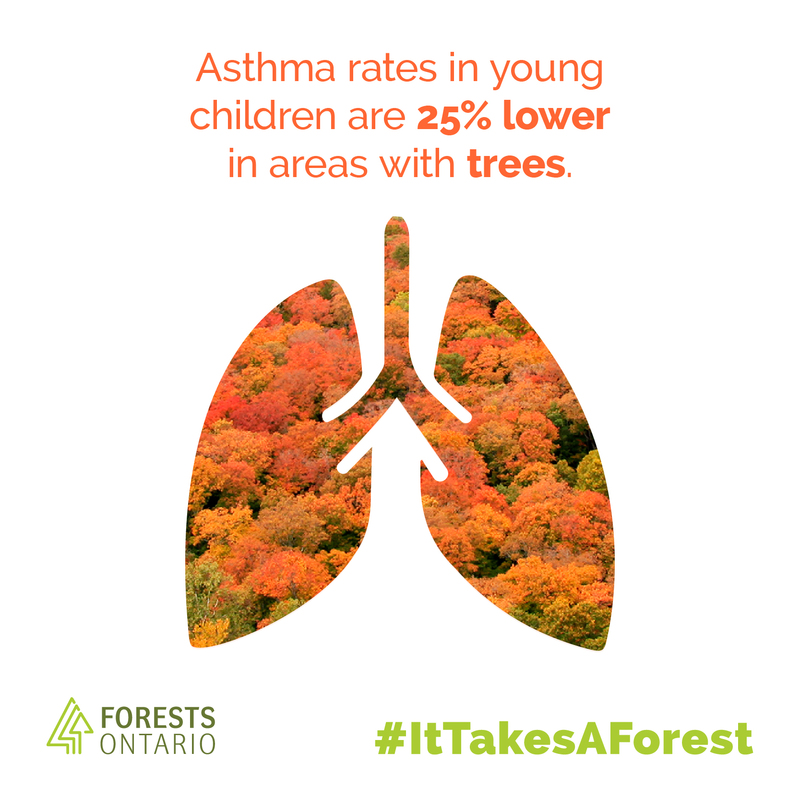 Asthma rates are 25% lower in areas with trees. 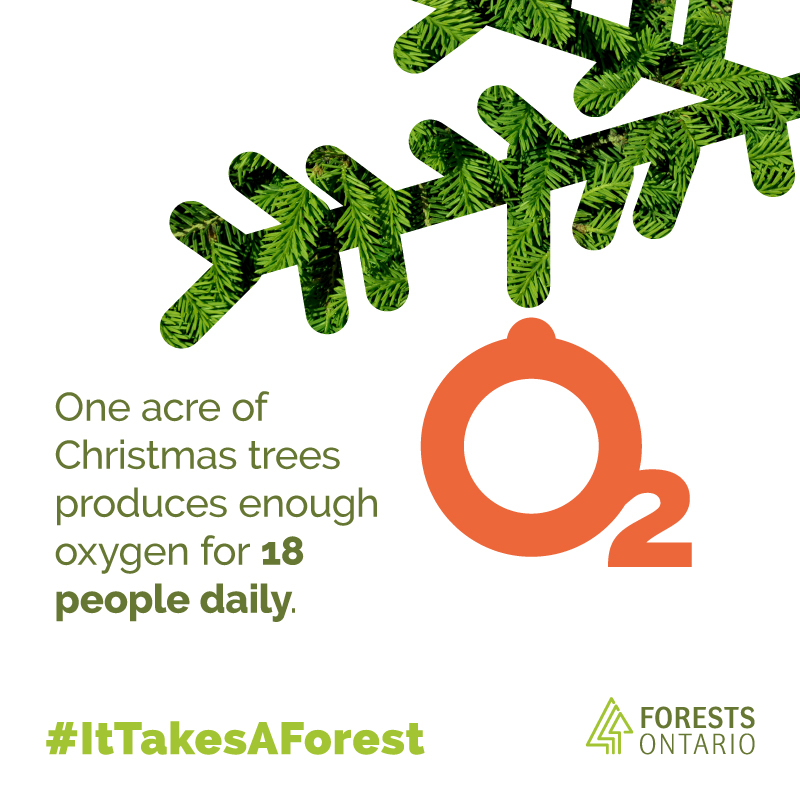 One acre of Christmas trees produces enough oxygen for 18 people.